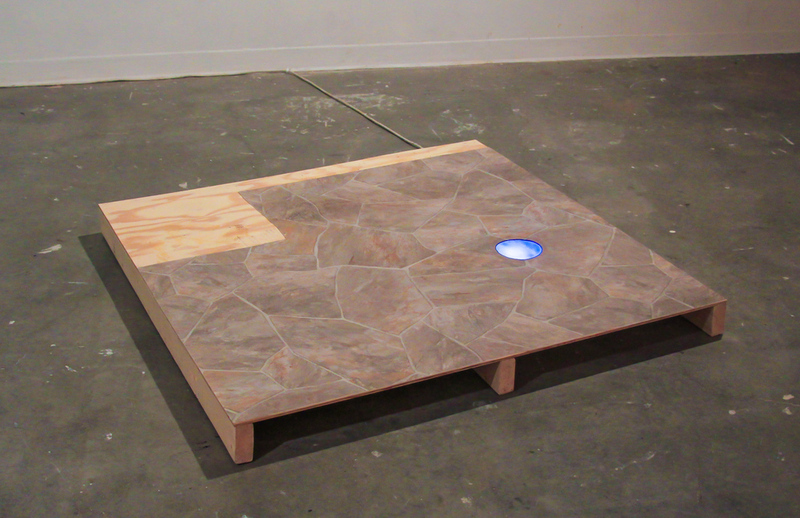 In To Fly Away, the viewer looks down at a cloudy blue sky shining through a hole in a linoleum floor, suggesting a house floating through the air. This fairy-tale-like image is given physicality, plucked from the imagination and planted into the dimension of our bodies. As a physical construction, To Fly Away challenges what is inside and outside of the mind's story.